With its pink gold case measuring 40mm in diameter, the Master Eight Days Perpetual 40 embodies a unique relationship with time. Within the realm of watches equipped with a perpetual calendar, it is the only one to boast an eight-day power reserve thanks to its twin barrels that store up a considerable amount of energy. 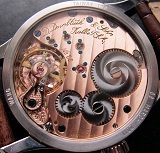 Aside from its technical performances, it is also an authentic Fine Watchmaking accomplishment that remains faithful to the finest traditions while subtly reinterpreting them. 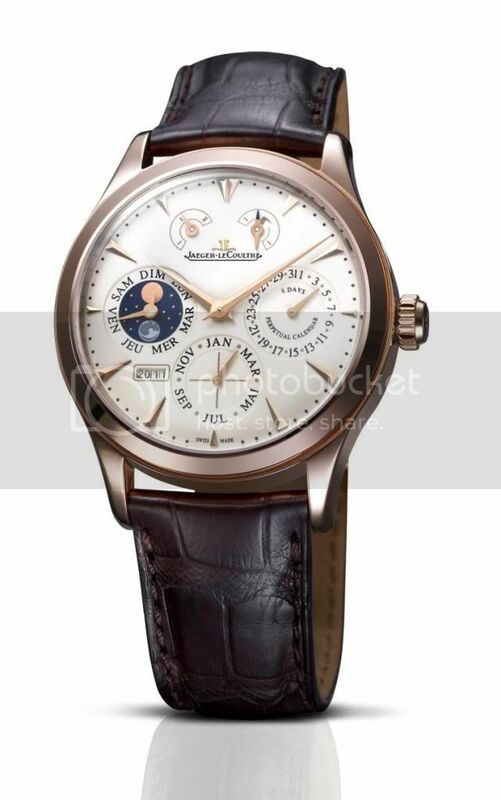 Mechanically programmed to require no manual correction before the year 2100 – since even the noblest mechanisms cannot keep track of the century years that are not leap years – it will continue to provide an accurate display of the date, the day of the week, the month and the year in four digits, along with the power reserve, the moon phase, the alternation between night and day, and even the security zone between 10 pm and 3 am during which no changes must be made. Loyal to the know-how cultivated by the Manufacture Jaeger-LeCoultre, this watch is distinguished by its excellent readability and its understated appearance, because the watchmaking art also lives up to the thirst for clarity that supports the mechanical feats. 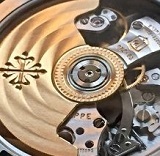 Jaeger-LeCoultre Calibre 876-440B.